Effective January 1, 2019 training fees have been changed. Since 1992 we have been striving to produce not only outstanding bird dogs but also loving family companions. We strive to produce dogs that hunt hard in the field but also have the ability to turn that drive off and become a house dog with manners. 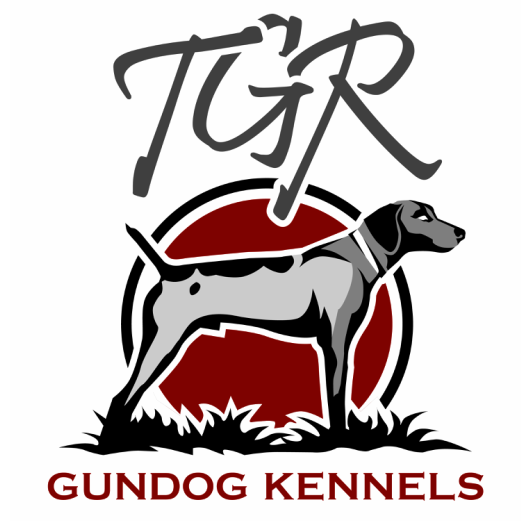 As you can see from our champions page we are one of the leading German Shorthaired Pointer Kennels in the country for successful NSTRA (National Shoot To Retrieve Association) dogs. We have bred, trained, or handled dogs to 74 NSTRA Championships, 13 NSTRA Regional Championships, and 14 NSTRA Regional High Point Titles as well as having dogs finish in the Top Ten of the NSTRA Purina Performance Award 7 times. We believe in proving our dogs in the NSTRA Field Trials because in order to win in this competition dogs have to handle well, be excellent bird finders, and retain their training, and since most are campaigned by their owners they also need to be good house dogs as well. To compete in regional and national championships, style and endurance are also a must. We feel that with the bloodlines we are using today we are producing nationally competitive dogs. All of the dogs used in my breeding program are the kind of dogs you and I enjoy hunting behind. They are busy and stylish, yet hunt for you not you for them. They have all been selected for an excellent disposition as well as outstanding conformation. All are natural bird dogs that we are proud to own. We keep puppies to raise from almost every breeding so we know exactly what we are producing. We strive to make the next generation better.